Start off your visit on the 15th (Tue): have some family-friendly fun at Skyline Queenstown, stop by The Barn, and then get a new perspective on things with Boat Tours & Water Sports. 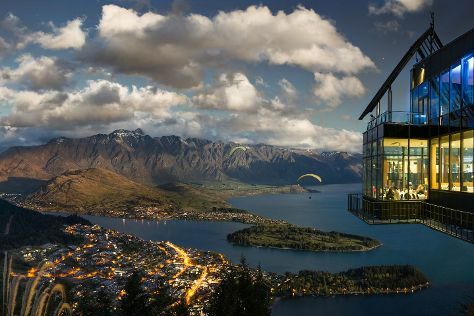 For photos, maps, and other tourist information, read Queenstown online attractions planner . Paphos, Cyprus to Queenstown is an approximately 32-hour combination of bus and flight. You can also do a combination of bus and flight; or do a combination of bus and flight. Due to the time zone difference, you'll lose 10 hours traveling from Paphos to Queenstown. Finish your sightseeing early on the 15th (Tue) so you can travel back home.